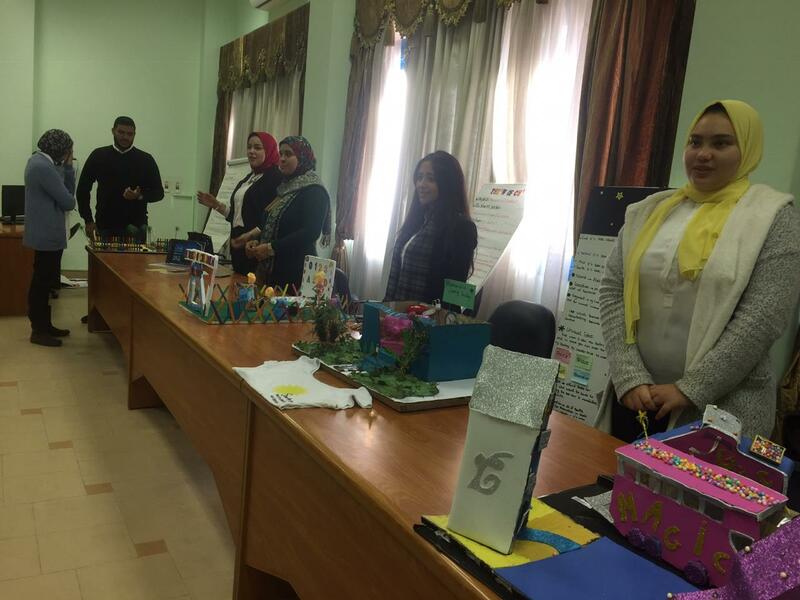 Description: In this event, foundation students were invited to present their final business projects that was planned based on the knowledge they learned during the course. They managed to think of new and innovative business ideas that meet the market needs and serve the community at the same time. They planned their projects based on a clear vision and a clear estimated financial plan that include sales targets and forecast. 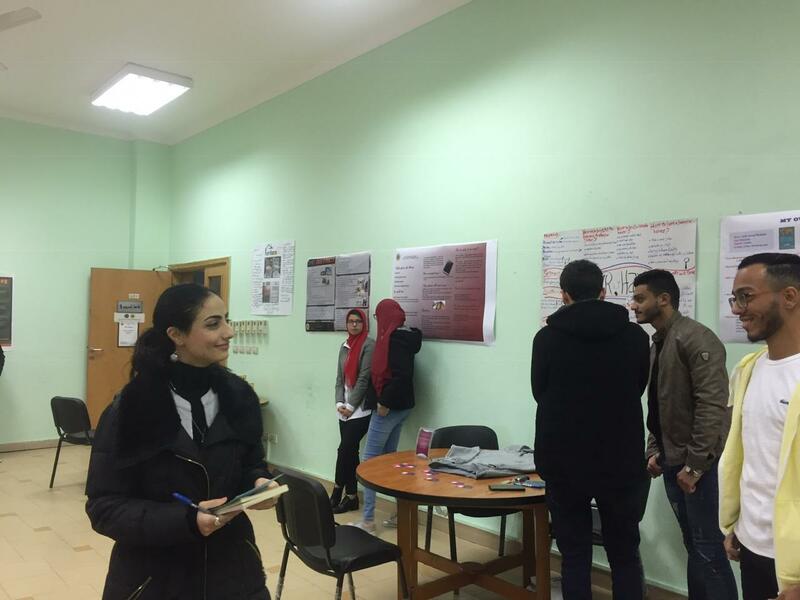 They were clear about the segment they are targeting for their projects and how to reach them by using “The 4 Ps” marketing basic strategies. 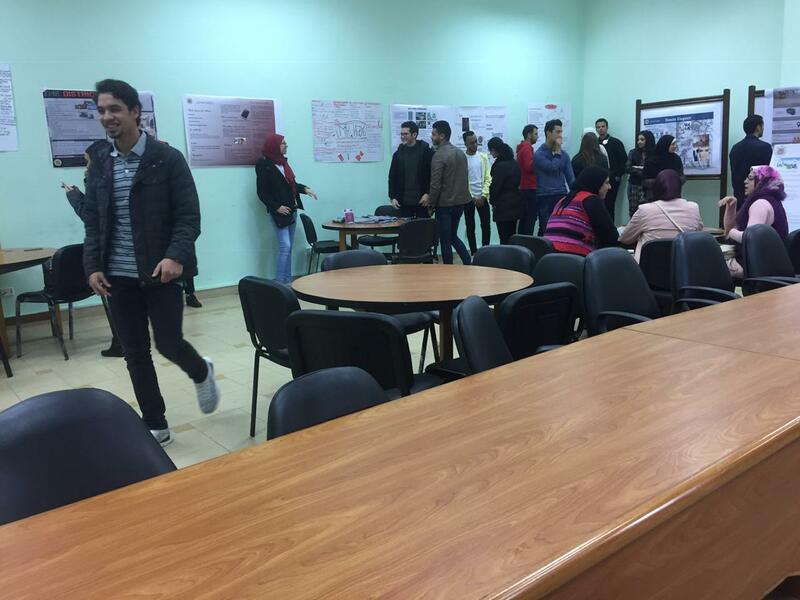 Using their course knowledge, they tried to implement what they were taught by their lecturers; for example, how to manage and make their own business successful. “Clothing Factory” presented by Poussy Ashraf. “Magic Beauty” Centre presented by Rwan Muhammad. “The Children’s World” presented by Amany Ahmad. “ACE Technology “presented by Dalia Attia. 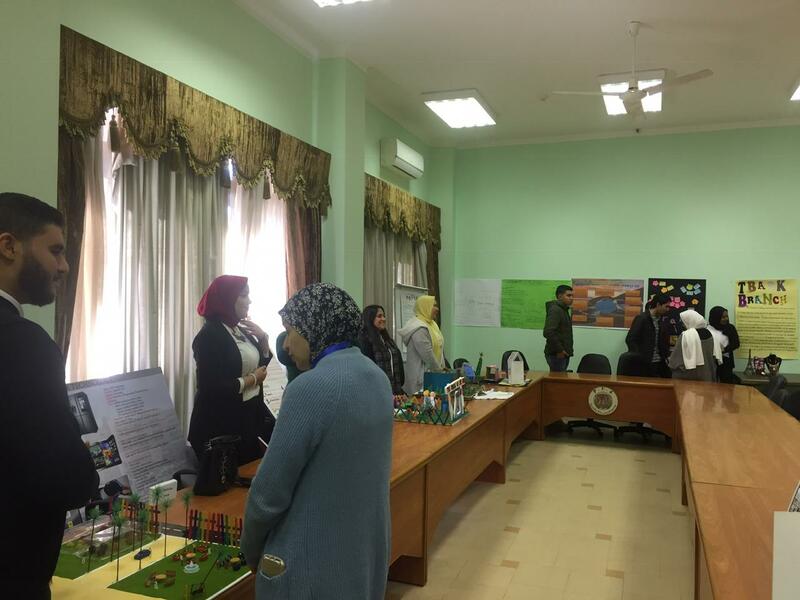 Two interesting business projects were “Safer Cycling with Gorget Neck Collar” presented by Maimana Seif & “The Gold Machine” presented by Nancy Mohammad. 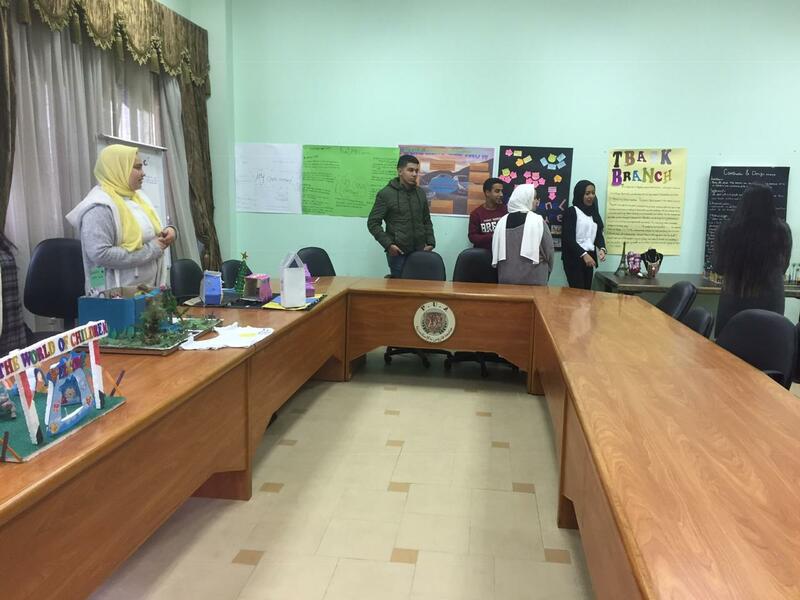 In this group the project that`s called “The Edible Café” presented by Ali El-Deen Amr won the attention. “The Palace Furniture” presented by Mina Seif. “Beauty Elegant” presented by Nadine Khaled. “Around the World Restaurant” presented by Mazen Fathy. “Coffee Shop” presented by Muhammad Ahmad. “The Ship” fish restaurant presented by Hesham Abdel-Hamid. “The District Work Zone” presented by Yassmine Ahmad. And finally, one of the best ideas that got visitors attention was “The Mobile Phone Solar Batteries” presented by Nashwa El- Metwally. “Even Net Café” presented by Mahmoud Khaled. “Girls Only Café” presented by Naglaa Abdo. “A Medicine Warehouse” presented by Mai Mahmoud. “Auto Modification Shop for Cars” presented Amr Ashraf. “King Mechanic” presented by Muhammad Mohsen. “International Furniture” presented by Habiba Ashraf. “King Rent Car Show” presented by Hossam El-Dien Hesham. “Exporting and Importing Accessory” presented by Rowan Hassan. 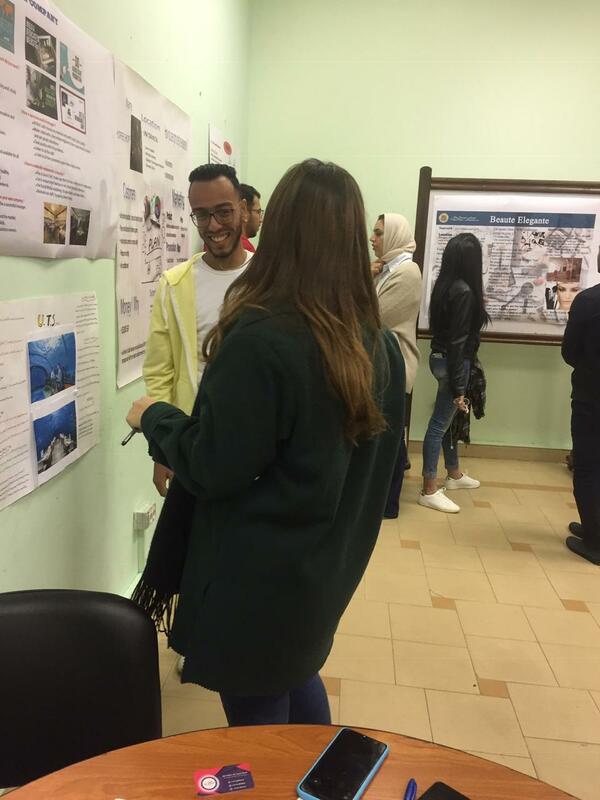 Another business idea that also attracted the visitor`s attention was “Construction and Design company” presented by Amira El-Sayed Fadel. 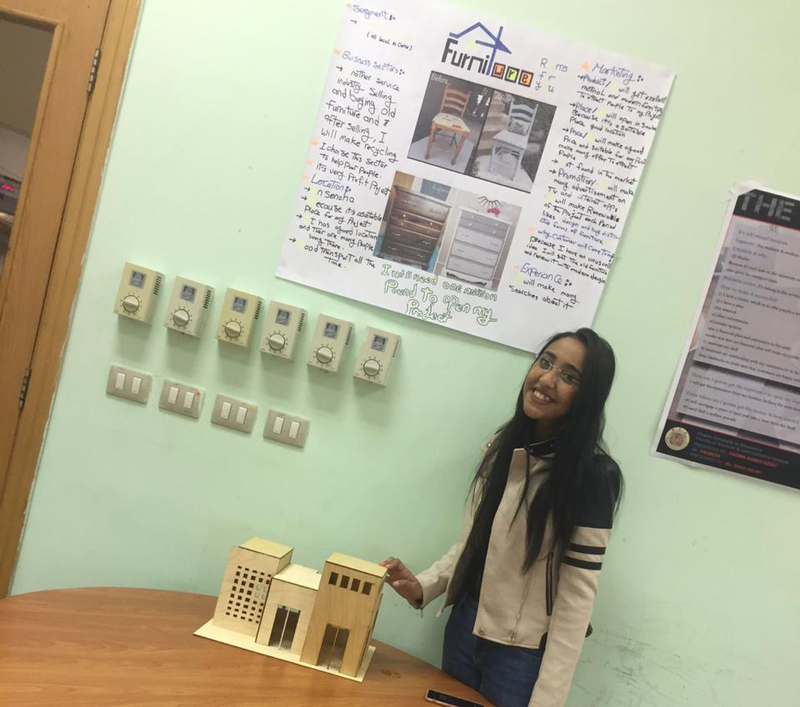 The winning project of this exihbition was called“Furniture Rooms For You” that was about recycling the old furniture and it was presented by Engy Rady.